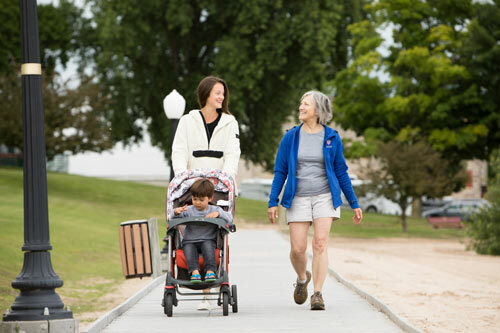 njoy the Lake Michigan Shoreline with a walk along Algoma’s award-winning boardwalk. Connecting the Algoma Visitor Center to the Algoma Marina, the boardwalk is handicap accessible on both ends. This ½-mile boardwalk is made from recycled plastic lumber and was built by volunteers. 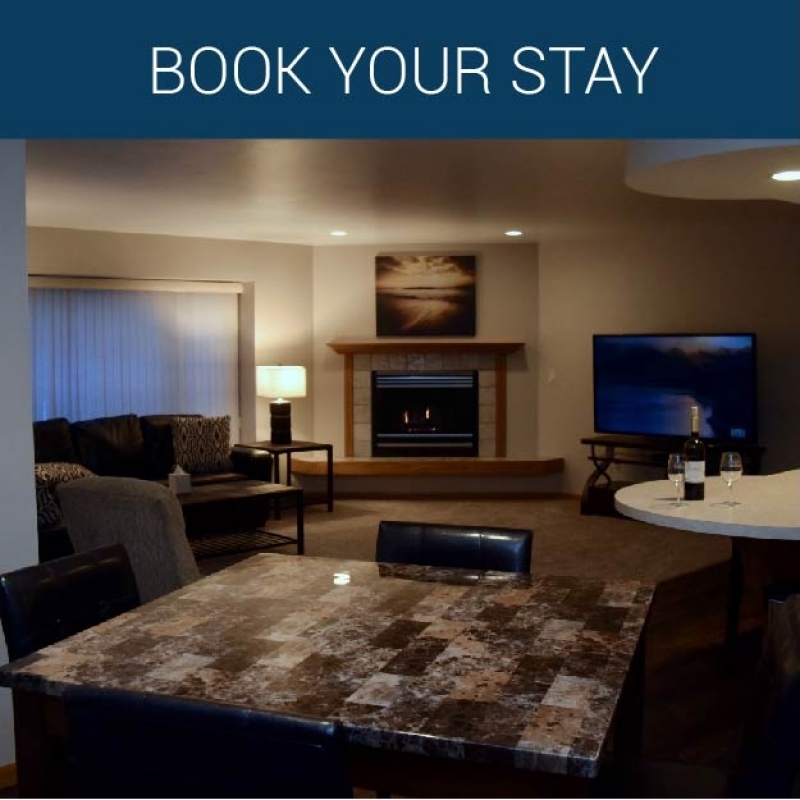 Crescent Beach offers a front-row view of the awe and beauty that only a Great Lake can give. From stunning sunrises to hot sand between your toes, the lakeshore is the perfect place to spend the day. 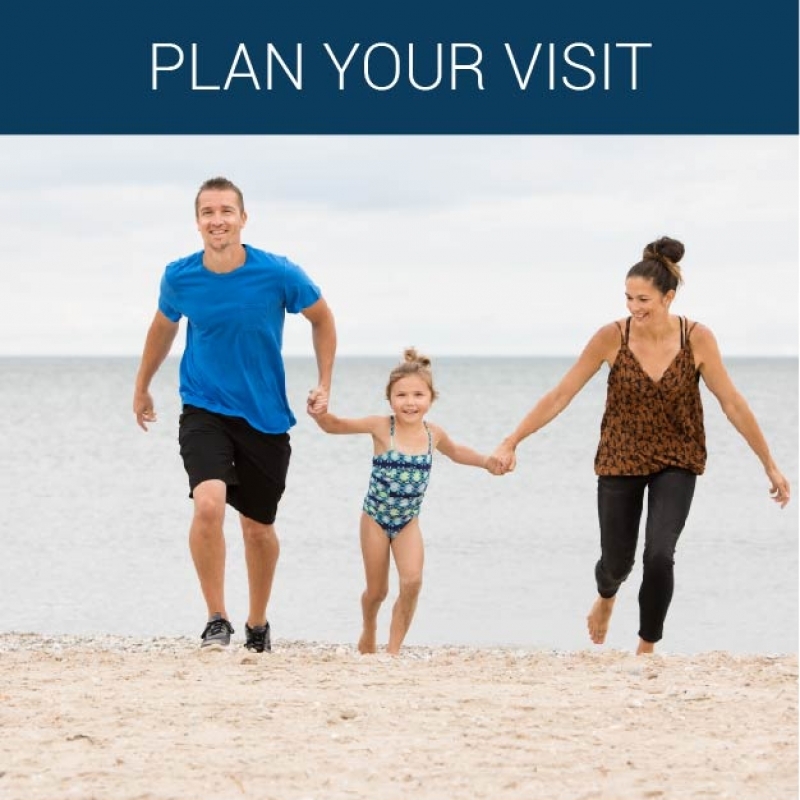 Cool off on sandy Crescent Beach in the hot summer months, complete with a new changing station located on the northern end. Play volleyball, launch your kayak or just dip your toes in refreshing Lake Michigan. Winter offers its own beauty with the ice shelves, the sun sparkling on the blue water and look up and you just may catch a glimpse of the eagles that nest nearby. Capture the Algoma Pierhead Lighthouse in all its red glory from anywhere on the beach. It makes the perfect backdrop for your photos. Sand+Water+Kites=Fun! 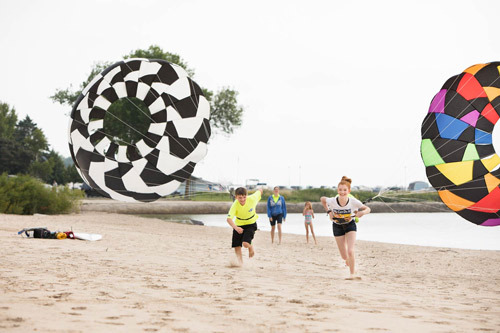 Every year, hundreds of families descend on the warm shores of Crescent Beach to watch the dipping, diving, dancing antics of kites presented by the professional kiters from the Wisconsin Kiters Club. A free community event that celebrates the beauty of Crescent Beach with crafts, a DJ, games, local food more and more. More Information. Originally a camping spot and resting point for Pottawatomie who paddled from the north to and from their Black Earth planting grounds, settler Joseph McCormick was inspired by the beauty and natural protections of the north bluff of the Ahnapee River. In 1911 the Ahnapee Record Herald championed the idea of a new park along the lakeshore to provide entertainment to young adults in the community. 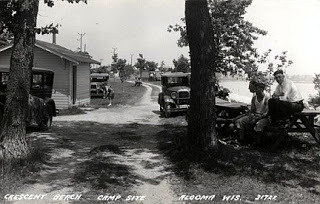 In 1938 the City received grant funding that allowed for beautification with clean-ups, tree and shrub planting, installation of toilets, a bath house, a camp house, swimming, diving and life-saving apparatus. Among the projects built by WPA crews, one of the most adored was the staircase built at the south end of the beach. 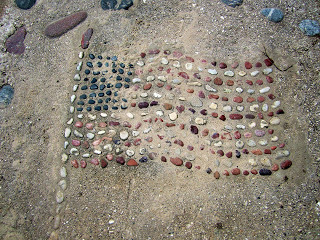 On the final step on the stairway is a flag made with colored beach stones set in concrete long before Hawaii and Alaska achieved statehood. 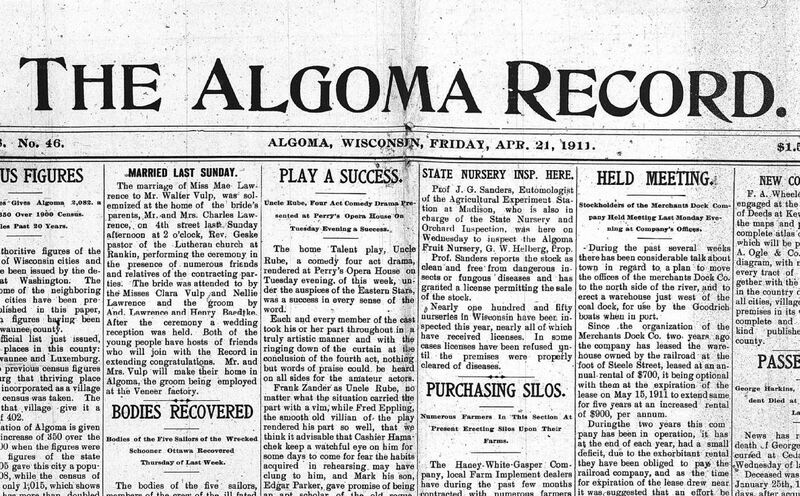 Thank you to Virgina Feld Johnson for her comprehensive and voracious collection of Ahnapee and Algoma history. 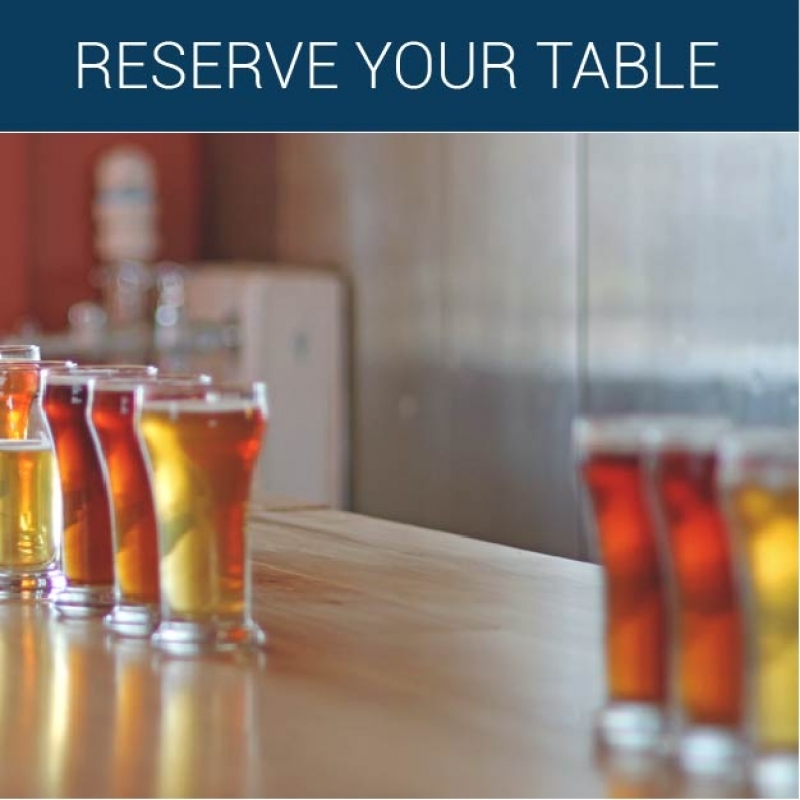 Please visit her blog to learn more about Crescent Beach and more.